The first time, Honda came up with a, uh, shall we quirky little two-door that was greeted with jeers and jokes. To its credit though, the Insight was one of the first to make a mass produced hybrid. In a sense, Honda was a bit of a trend setter here. Then there was the second generation Insight which was panned because many thought it was a blatant design copy of the Prius. That was largely true, but it was somewhat out of Honda’s control. That tear-drop shaped look is proven to be the best design for aerodynamics; something crucial to improved efficiency. But that wasn’t the only issue. Questionable quality, ride comfort and refinement ensured the Prius was left largely unchallenged. 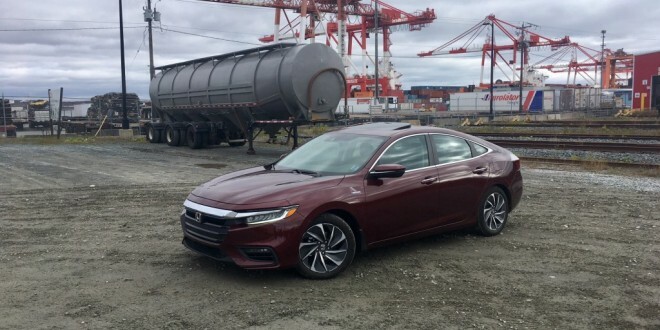 Honda sent the Insight to pasture after only four years on the market. Enter 2019, where a surprise concept car – which looked production ready – debuted from the Japanese automaker in Detroit donning the Insight name. It certainly didn’t look like any Insight before it, meaning it looked much more conventional. 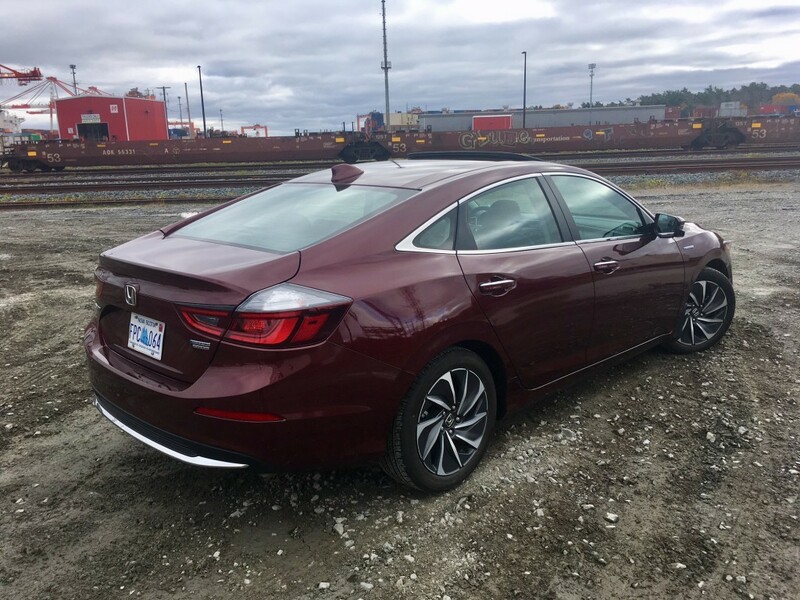 For starters, the new Insight isn’t a two-door hatch or a five door hatch. This new version is hatch-less – a curious choice given traditional sedans are about as popular as gonorrhoea these days. Given the advantages of a hatchback and the fact that its direct competition are mostly hatchbacks, this seems like an oversight to me. Still, the look is decidedly Honda and as a stand alone dedicated hybrid, it certainly is the best looking. There’s nothing about it aside from the badging that indicates its a hybrid. 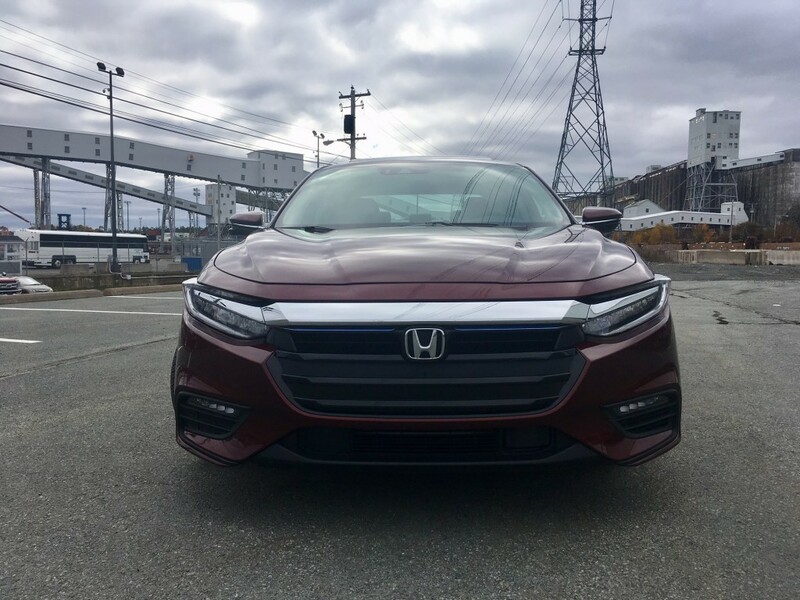 While looking closely to the rest of the Honda family, the new Insight has a unique front facia featuring complete LED lighting. 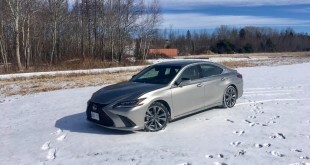 The side profile takes on the now standard swooping four-door coupe roofline and the rear remains classy with partial LEDs, a short and stubby deck lid and some chrome accents near the bottom. 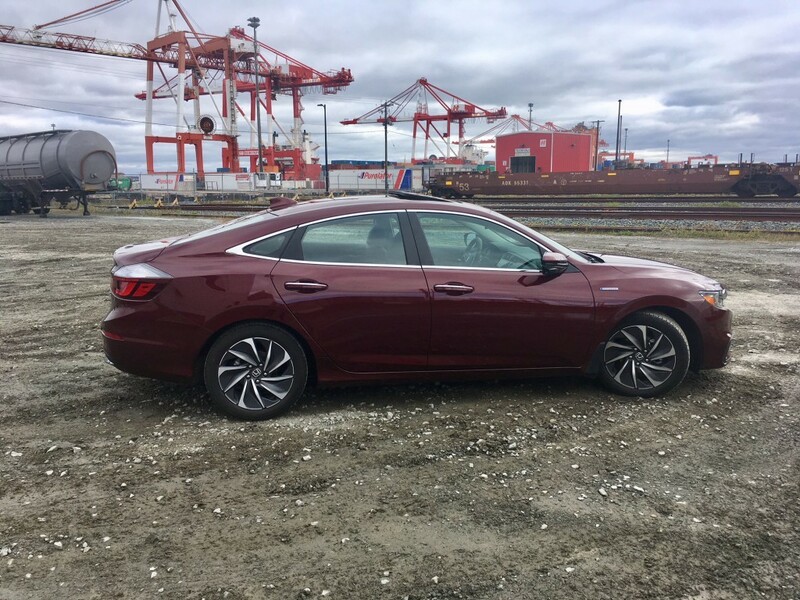 The new Insight is mostly meant to take over the reigns for the surprisingly poorly received Civic Hybrid. Yes, there is a world where a vehicle with the Civic nameplate didn’t completely obliterate the competition in sales. 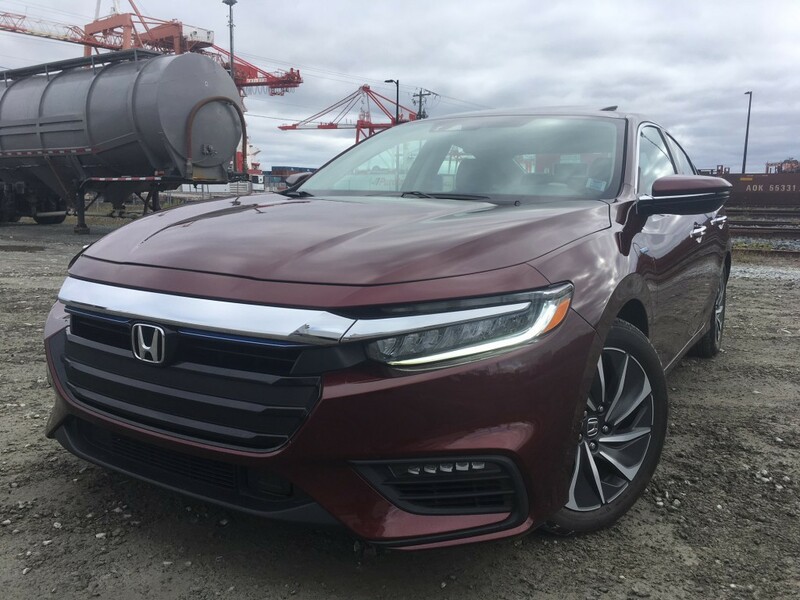 But size-wise, it is slightly larger than the current Civic, and in my opinion, is better executed when speaking in terms of exterior style. In terms of interior style, you’ll find a blend of Civic and Accord. 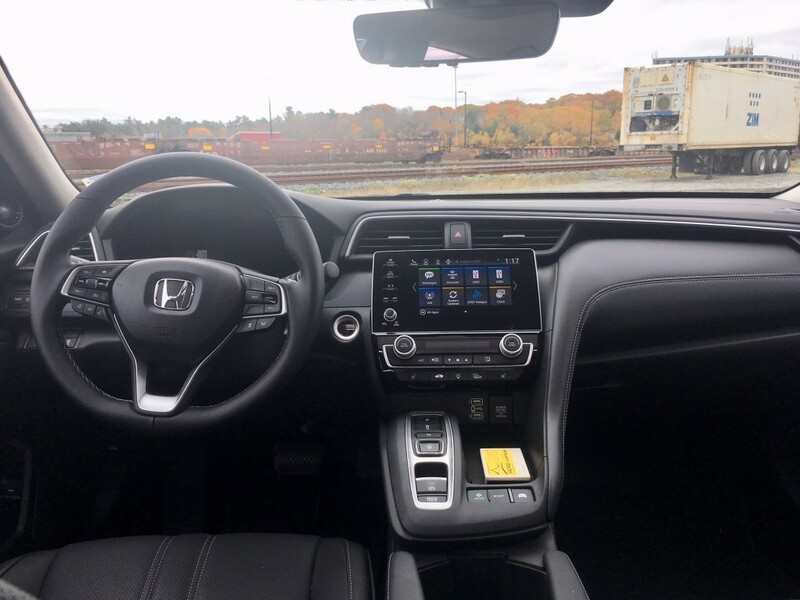 The steering wheel design is taken from the Accord (though it does feel a bit smaller), and so is the push-button gear shift and infotainment system. As you’d expect from a top tier Touring model Honda, quality of materials are high. 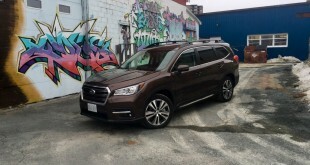 Among standard interior tech features in the Touring trim: Bluetooth connectivity, Apple CarPlay and Android Auto, Wifi tethering and Siri Eyes Free compatibility. 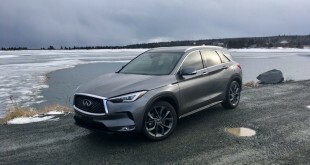 Standard driving aids include blind-spot monitoring, lane-keep assist and departure warning, adaptive cruise control, front collision warning and automatic braking. 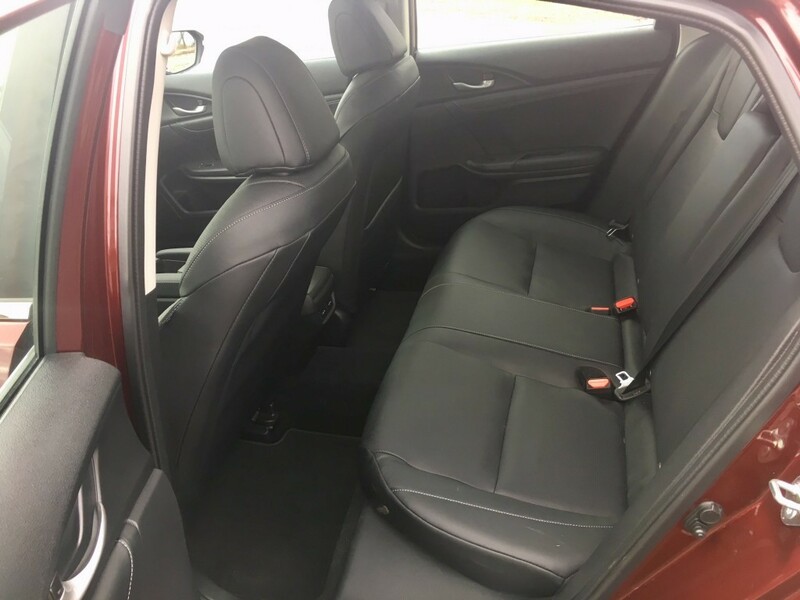 Interior room is good, and trunk space is not impeded by the battery and those rear seats can fold nearly flat for added versatility. Let’s talk about the transmission because it’s an interesting set up in the sense that there sort of isn’t one. There’s no gearset like a traditional transmission or even a CVT. The electric motor does most of the work powering the wheels but the 1.5 litre Atkinson-cycle gas engine chimes in as necessary; usually at medium or higher speeds. The engine can also act as a generator for the electric motor. The end result is a driving experience that feels semi-normal (assuming you’re used to how hybrids drive in the first place). Total power output comes in at 152 horsepower and 197 pound foot torque and 0-100 takes around 8 seconds. That isn’t bad for a hybrid on paper, but in practice it felt longer than 8 seconds. Much longer. Now, I’m not necessarily dinging the Insight here, most people don’t buy hybrids because they want raw power or because they may turn all Fast n Furious at the traffic lights. However, while the Insight can’t be called sluggish, it can certainly be labeled as unmotivated. It’s a bit like asking your teenager to clean their room. Eventually they’ll get around to it but when they do, they’ll be sure to make it known how unhappy they are about it by stomping up some stairs or slamming room doors. The Insight behaves in a similar manner. Adequate power is available to merge onto the highway, for instance, but the 1.5 engine whines and screams through the process. With your right foot down, noise is intrusive to the cabin. Once it’s up to speed, and bits that make it go have settled down from their tantrum, the Insight glides seamlessly down the road with little fuss. It’s smooth to drive on the highway and is comfortable over bumps and other imperfections. 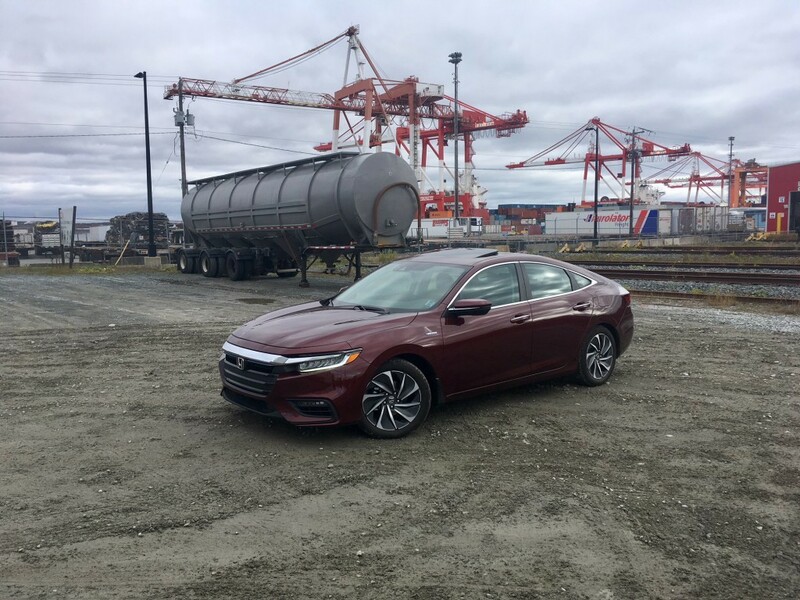 While the Insight is mostly based on the Civic’s architecture, the ride feels more comfortable. The Civic’s suspension feels a bit more set up for handling, while the Insight is more concerned with coddling you. 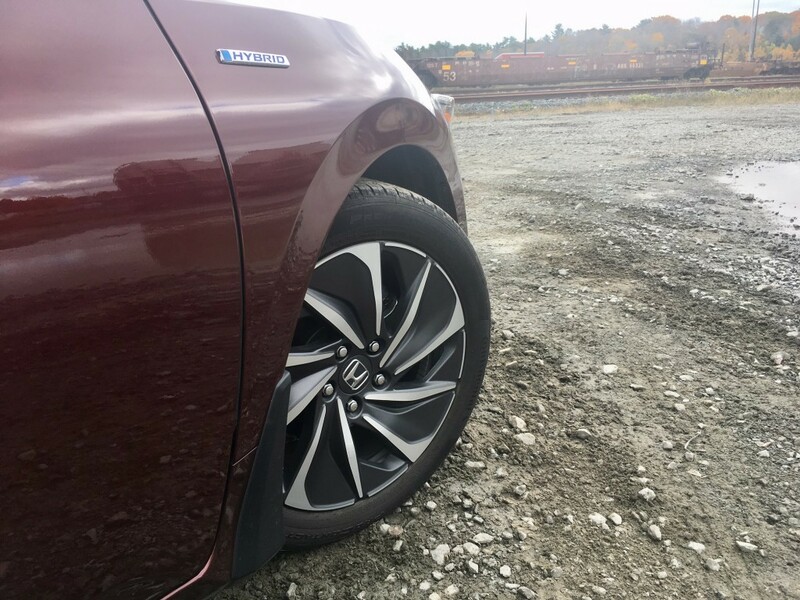 That isn’t to say the Insight turns into a barge in the bends – the suspension set up is still capable – but matched with eco-friendly rolling resistant tires means, again, the Insight will oblige if it must in the corners, but it would mostly prefer if it didn’t have to. Now let’s get to the entire reason why anyone buys a hybrid in the first place. Official fuel consumption figures come in at 4.6 L/100 kms city and 5.3 highway. No, that isn’t a typo and those numbers aren’t meant to be inverted. Hybrids are one of the few types of vehicles that achieve better fuel consumption in the city because there’s more frequent opportunity for the tech to do its thing. In this instance, there would be less need for the gas engine to chime in since city driving is mostly limited to lower speeds. 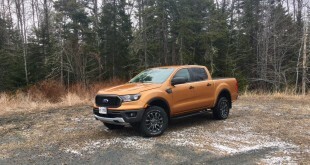 My combined week’s worth of both highway and city driving returned 5.1 L/100 kms. Not bad at all. It should also be noted that among my best scores was a 3.4 rating one time. 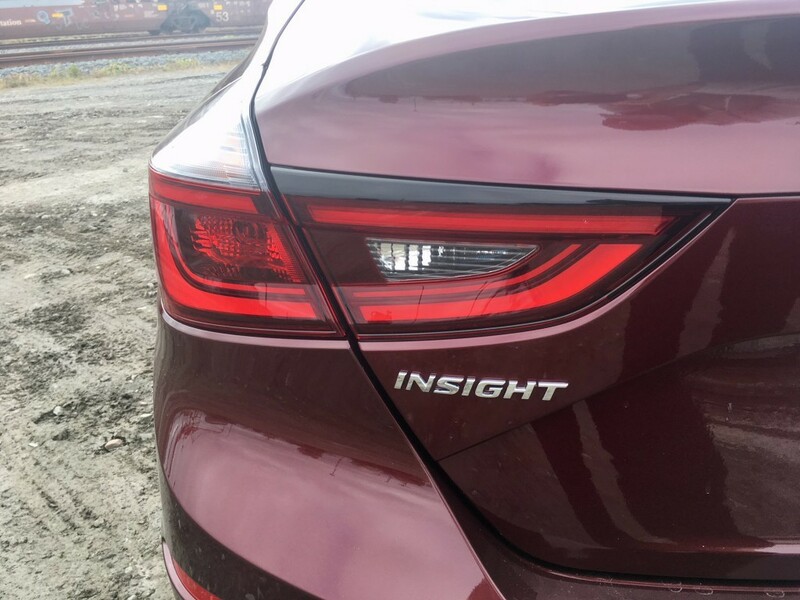 As far as hybrids go, the new Insight certainly delivers on many fronts. I mostly enjoyed my time with it (my wallet enjoyed it very much at the end of the week too). 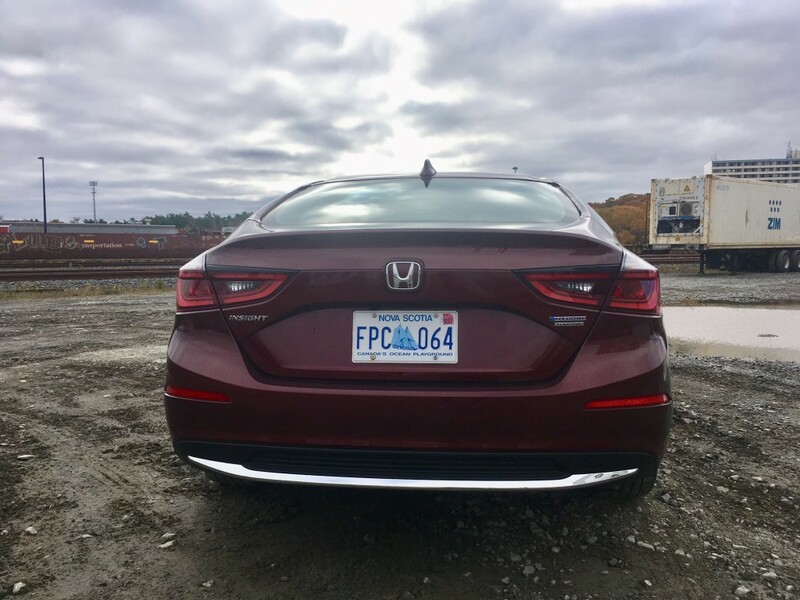 While I think Honda needs to do more to address powertrain refinement and giving us a Honda hybrid that is versatile (a hatchback or CUV please), there’s no doubt that the new Insight is miles kilometres ahead of any version before it. It looks more conventional than many hybrids on the market today (both inside and out) and it has good looks and a high quality feel. 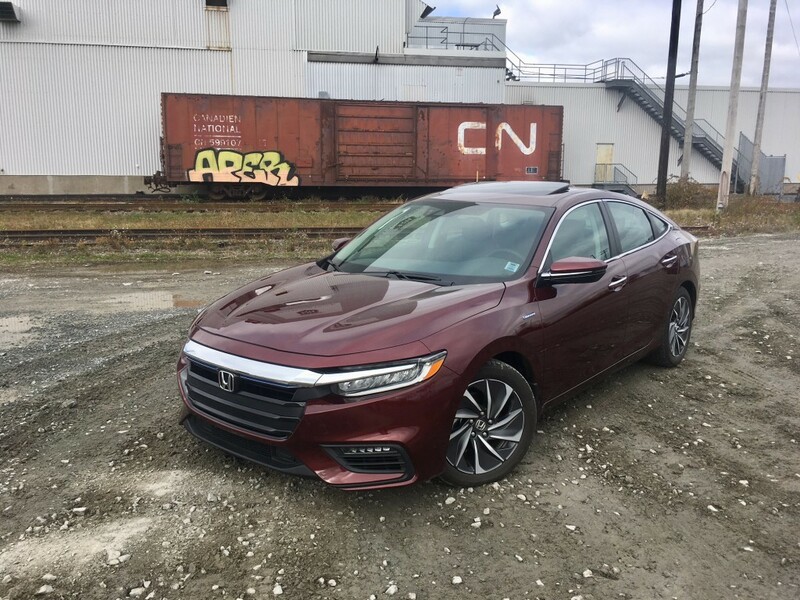 Certainly, if you are in the market for a hybrid and can live without a hatchback, the Insight is worthy of your consideration. Missing Little Boy’s Cap. 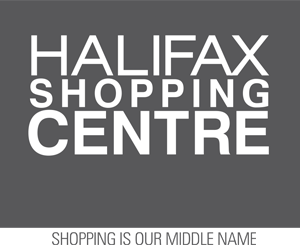 Sentimental Value – Please Share!